When I was two years old back in 1960, The Lights came to me and told me all kinds of things that could happen on the way to December 21, 2012. They said if we made it through those years then the next day December 22. 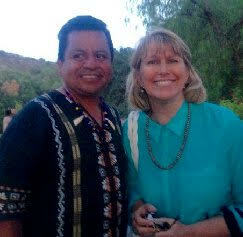 2012 would begin: “THE TIME OF NEVER ENDING PEACE” Last week Mayan Elder Jose came to Santa Barbara and said the EXACT same thing! Jose Federico Munoz Manik Ahaob of Guatemala is a “Day Keeper #2” out of the 22 Calendars that we know as the Mayan Calendars of the Maya Chortie Kiche Mam and Kakchickel people. Jose said that the Mayans never said that the world was going to end on December 21. He explained that it was just the end of the fifth calendar of 26,000 years. 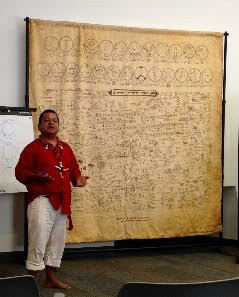 Jose brought a drawing of a the new calendar of the NEXT 26,000 years. 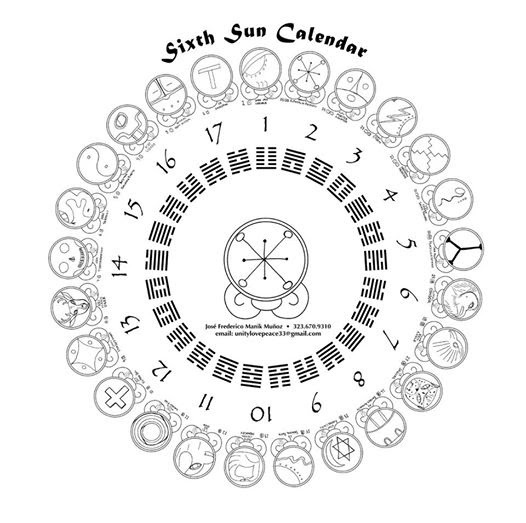 This Calendar began on Dec. 22, 2012: “The 6th Sun Tzolkin Calendar”. Jose explained how in the beginning of the calendars there was just darkness. Then we have moved into what the Buddhists call “duality” of dark and light.He said that this most recent calendar will bring us into “non-duality” just light. Jose spoke of how the people of Earth are living three parallel realities simultaneously. My favorite thing Jose said is that Earth is a VERY special place in the Universe. “Earth is the only place in the Universe, in the Multi-verses, that has a species that can experience LOVE”! The Lights told me the same thing: That here on Earth we are able to experience EMOTION in a way that is very special. It is through this loving kindness that we were going to save the world. 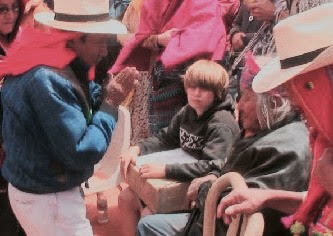 Jose said that his teacher is Mayan Elder Don Alejandro “Wandering Wolf”. Here is a photograph of the day my adoptive Grandfather Martin Gashweseoma and Don Alejandro met for the first time. We are so very blessed to be living in this very exciting time in history and on one of the most precious planets in the Universe! This information is available for all to print free of charge. There shall be no charge at all for this information. The information on this web site is presented for the benefit of humanity. All of this information is copyrighted by The Ground Crew and must not be used for any other proprietary purposes. Permission is granted for personal use only. Permission must be granted for any use other than personal.